No story quite captures the feeling of Christmas like Charles Dickens’ A Christmas Carol. Our head concierge at The Dorchester, Harry Deasy, recommends the Charles Dickens Museum, where you can uncover the inspiration for the tale. The exhibition also partners with the release of The Man Who Invented Christmas, which explores Dickens’ motivation for writing A Christmas Carol, and devotes a section of the exhibition to original costumes and film props. Revel in an evening of entertainment at the stunning Royal Albert Hall, which hosts a packed calendar of opera, ballet, recitals and jazz performances throughout the season. Little ones will love the musical story concerts, where a guest narrator tells the story of The Snowman and Paddington Bear, with a live score performed by the Royal Philharmonic Orchestra. Raul Deflorian, front of house manager at 45 Park Lane, recommends watching a festive film within the beautiful grounds of Kensington Palace. Returning for this year, the Luna Winter Cinema hosts screenings of classics such as It’s a Wonderful Life, Love Actually and Home Alone in the pavilion on the Orangery Lawn. Cosy up with a warm mulled wine for the ultimate festive experience. Our guest relations manager at Coworth Park, Maggie Xu, recommends the festive trail of lights at Kew Gardens, which returns for its sixth year. 2018 promises to be bigger than ever before, with over a million twinkling lights and thousands of laser beams. Enter the moonlit woods and stroll towards the lake where hundreds of glowing boats gently bob along the shimmering surface. Complete the trail by seeing the Fire Garden as it flickers and crackles in the distance and walk beneath the Canopy of Light tunnel. For this two-day extravaganza, Ascot Racecourse opens its doors for a festive celebration. On the Friday there’ll be a brass band to set the scene as you enjoy winter cocktails, mulled wine and festive menus with mince pies. On Saturday there are family festive activities and a visit from Father Christmas and his reindeer, while Mrs Christmas will tell stories for the little ones. The beautiful La Sainte Chapelle opens its doors this season to host wonderful classic musical performances. Daisuké Kimura, concierge at Le Meurice, recommends booking a ticket to see this year’s spectacular programme of works by Bach, Corelli and Purcell. Daisuké also recommends a visit to the Vaux-le-Vicomte, a grand 17th century chateau which hosts its annual Christmas event. Beginning at the end of November, the grounds will be transformed into a winter wonderland of twinkling lights and animations to enchant the whole family. Hôtel Plaza Athénée’s head concierge assistant, Charles Saghbazarian, says Le Festival du Merveilleux is a must-do during the holiday season. Held every year at the Pavillons de Bercy – Musée des Arts Forains, the event features performances from storytellers, magicians, dancers and more, created to delight and inspire the whole family. It’s an experience not to be missed. Romano Conte, head concierge at Hotel Principe di Savoia, recommends the traditional festive market around the Sforza castle in Milan. Named ‘Oh Bej! Oh Beji’ this popular market hosts over 300 exhibitors selling authentic handcrafted wooden toys, books, prints and plenty of sweet Milanese delicacies. Returning for its eighth year, the 5km Santa running event is a joy for both participants and spectators, as runners take to the streets of Duomo and Parco Sempione dressed in Santa costumes and beards. The race is so popular, it’s become known as the pre-Christmas party for the whole city – one not to be missed. 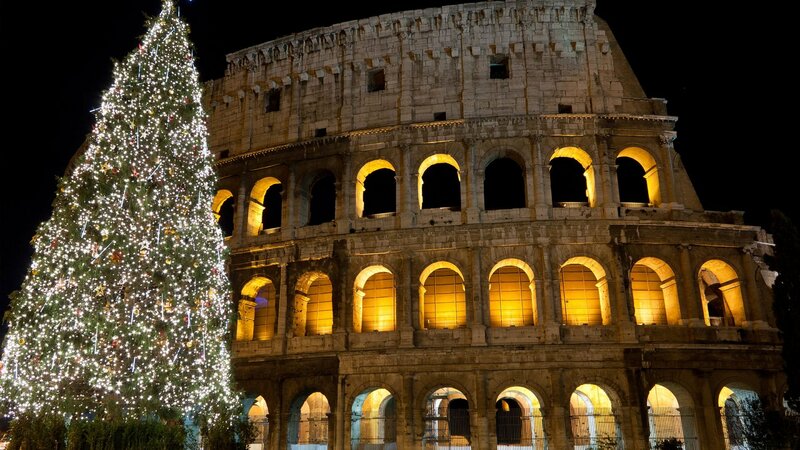 We asked our head concierge at Hotel Eden, Alessandro Arciola, for his favourite things to do in Rome over the festive season. He says a Roman Christmas is known for its sweet specialities, in particular, panettone. For the very best, visit Regoli in the Esquilino or Colapicchioni on via Tacito, where you’ll find deliciously sweet incarnations of this traditional cake. You’ll also find ‘panpepato’, made with honey, mixed nuts, cinnamon, raisins, chocolate and spices, including pepper (‘pan pepato’ roughly translates as ‘pepper bread’). Alessandro also recommends a ‘nativity scene crawl’ – a long-standing tradition which takes place every year in Piazza del Popolo, as artisans display their beautiful nativity scenes. Ranging from traditional antique displays inspired by 18th century Rome, to modern incarnations with animations and light effects, it’s a chance to admire the extraordinary creations from around the world. Abbas Golestani, chief concierge at The Beverly Hills Hotel, recommends watching classic holiday shows at The Paley Center for Media, which hosts daily screenings of family-friendly TV programmes from the Paley archive. For the little ones there’ll be visits from Father Christmas. Abbas also recommends the Griffith Park & Southern Railroad holiday train ride, which takes you on a magical journey around a one-mile track, beautifully decorated with lights and festive scenes. For an unmissable holiday display, Hotel Bel-Air’s chief concierge, Steve Sorg, recommends the Enchanted: Forest of Light event at the Descanso Gardens, which features 160 acres of botanical gardens and seasonal horticulture displays. The interactive, night-time experience features a one-mile walk through unique lighting installations among the gardens for an unmissable evening in LA. Steve also recommends the annual boat parade, a popular community event to kick off the holiday season. Children can enjoy real snow, sledding, arts & crafts, face painting, a DJ and more at Burton Chace Park, before a traditional fireworks display. The pièce de résistance is the 55th annual Marina del Rey Holiday Boat Parade, which returns for its 55th year and takes place in the main channel of the marina.